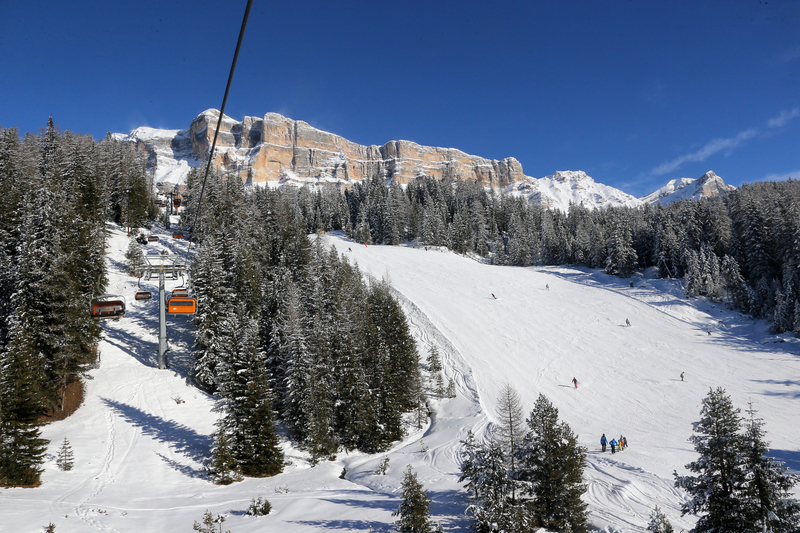 La Crusc is a small, well-equipped ski area at the edge of the famous Alta Badia region. 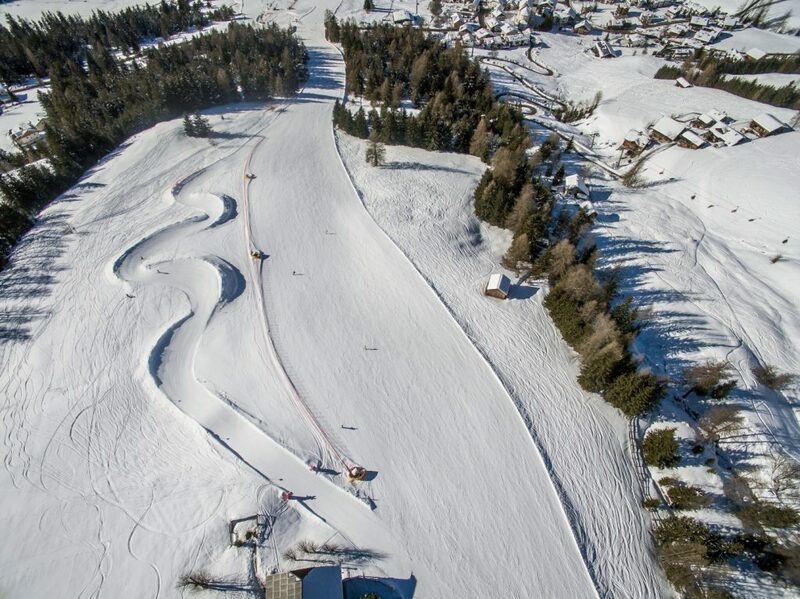 The La Crusc ski area is located between two nature parks, which are both UNESCO World Natural Heritage Sites: Fanes-Senes-Braies and Puez-Odle. Located at over 2,000 m above sea level, the area is an impressive natural and Alpine experience far from the maddening tourist crowds. 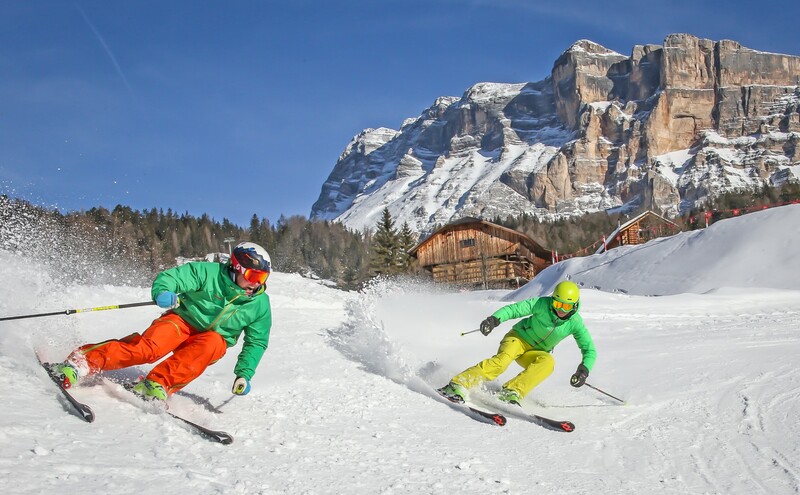 If you are, however, interested in a substantial ski holiday, the entire area is a part of the “Dolomiti Superski” network and the entire area can be enjoyed with a single ski pass. After a full day in the snow, enjoy original Ladin cuisine; preferably at one of our traditional, family run mountain huts. Discover the Ladin way of life as you enjoy hospitality, comfort and delicious high-quality traditional food. Red cheeks and sparkling eyes: the Alta Badia skiing area always ensures endless winter holiday fun for skiing fans. 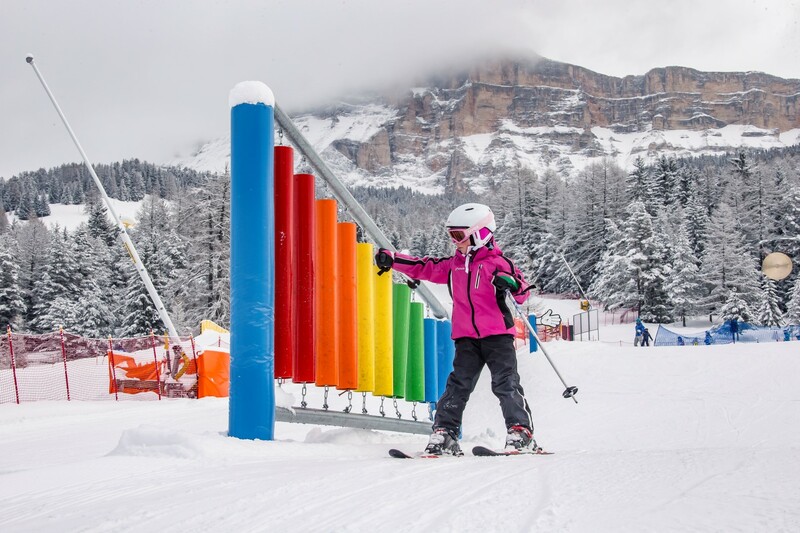 53 fast and comfortable ski lifts, 130 km of excellently prepared ski pistes (subdivided in: 70 km easy/blue, 52 km medium/red and 8 km difficult/black) and its central position in the world’s biggest ski carousel, the Dolomiti Superski, have ensured that Alta Badia is one of the most popular of South Tyrol’s skiing areas. 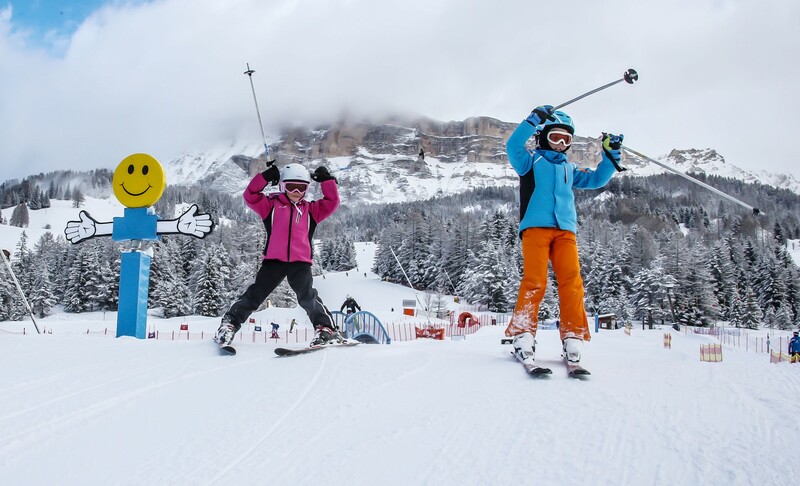 Ambitious skiers and professionals can have virtually endless fun on the pistes of Alta Badia. Thanks to the direct links, you have the opportunity of skiing to your hearts’ content on 500 kilometres’ worth of pistes. The classic ski round trips such as the Sellaronda or “First World War Ski Tour”, the black runs of Gran Risa in La Villa and Vallon-Boè in Corvara as well as the panoramic downhill run from the Lagazuoi Mountain require skill and endurance from the skiers whilst rewarding them with astonishing views and unforgettable moments. 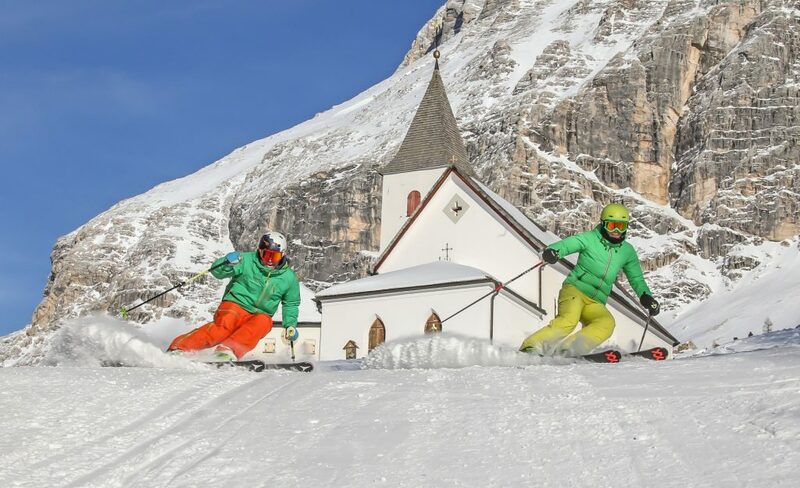 La Crusc/Santa Croce in Badia, far from the mass tourism, is connected with ski lifts with the other villages of Alta Badia and offers a total of 5 km of slopes. 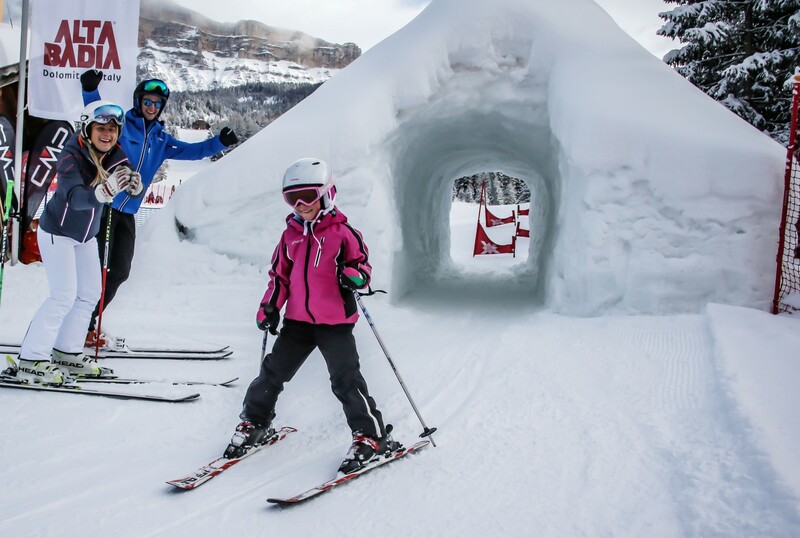 There is a free tubing park for young “non skiers” located at the valley station of the Santa Croce chairlift. 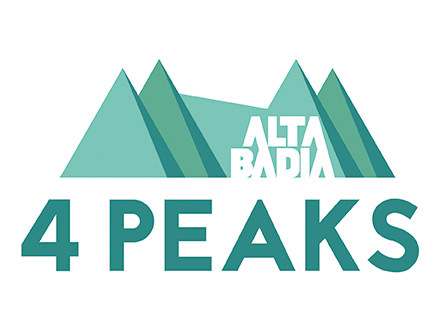 In Badia there is a 4* hotel, numerous 3* and 3s* hotels and 2* guesthouses as well as B&Bs and private rooms. 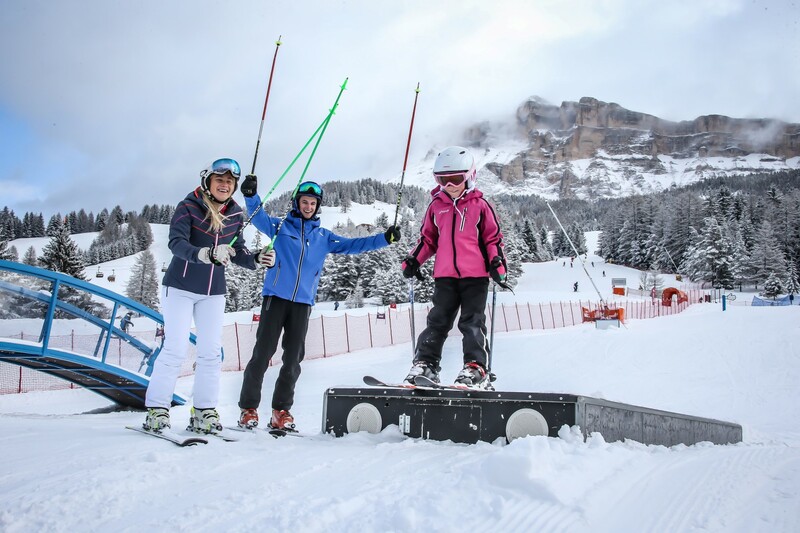 Fun and action outside of a “typical slope” – that’s what the “Free Ride Cross” guarantees. 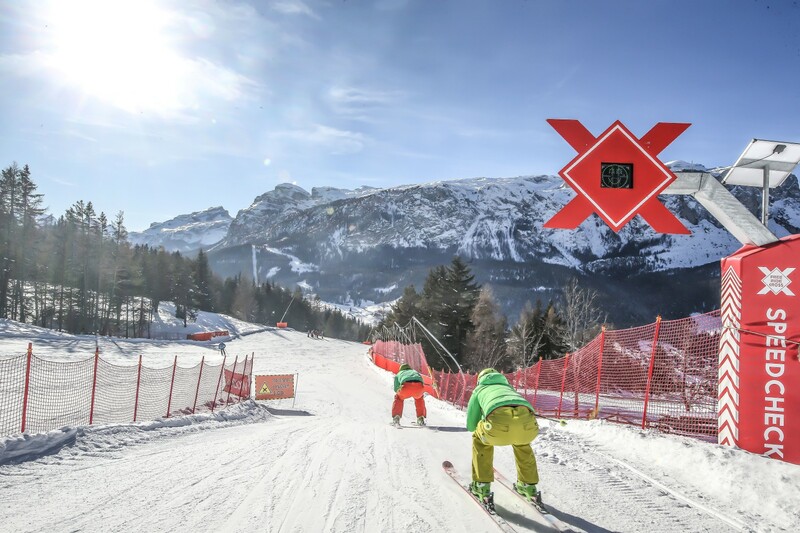 It is a revolutionary route with freeride and freestyle oriented elements, distant from the crowd, especially created for ambitious skiers and snowboarders of all ages. 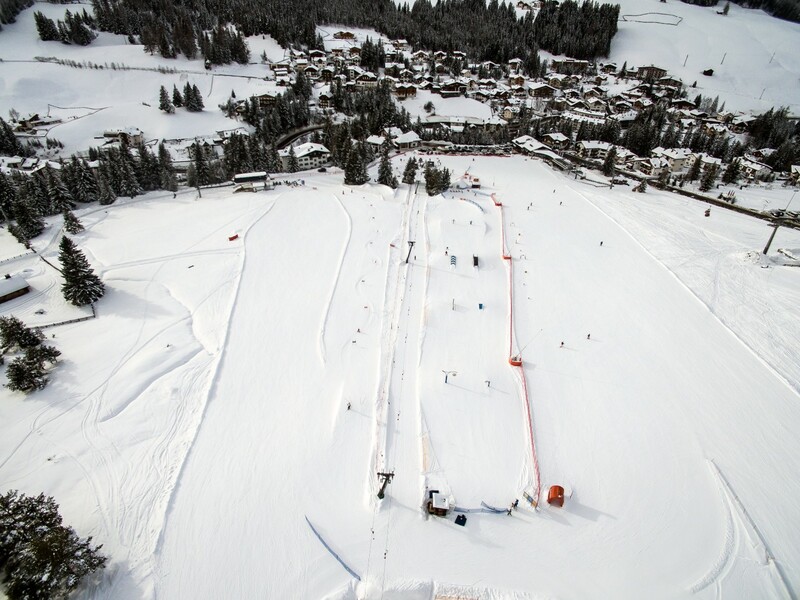 A sequence of big steep turns, rollers, drops and jumps on the perfectly primed cross-slope offers powder-entertainment at its best. For those who want to keep an eye on their speed, we offer another highlight: a speedometer. On the “Free Ride Cross” of La Crusc you will experience a shift from the slope to the backcountry, while having a view on the unique panorama of the mountain massif “Sas dla Crusc (Kreuzkofel – Sasso Santa Croce)”. 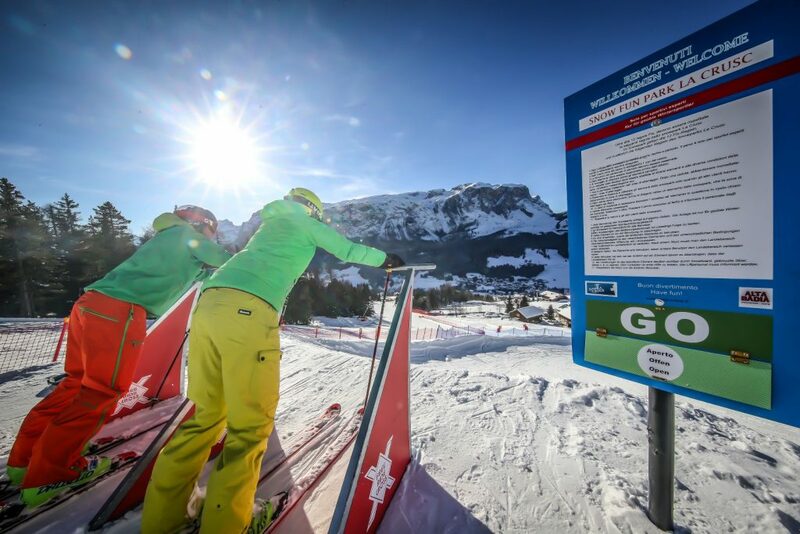 Moreover, another enhancement for the slope is the surrounding gastronomy: homemade, typically South Tyrolean dishes as well as the Ladin hospitality await the hungry skiers and snowboarders in rustic huts. A lot of entertainment awaits the young athletes driving through the „Kids Fun Line“ near the valley station of the charilift Santa Croce. 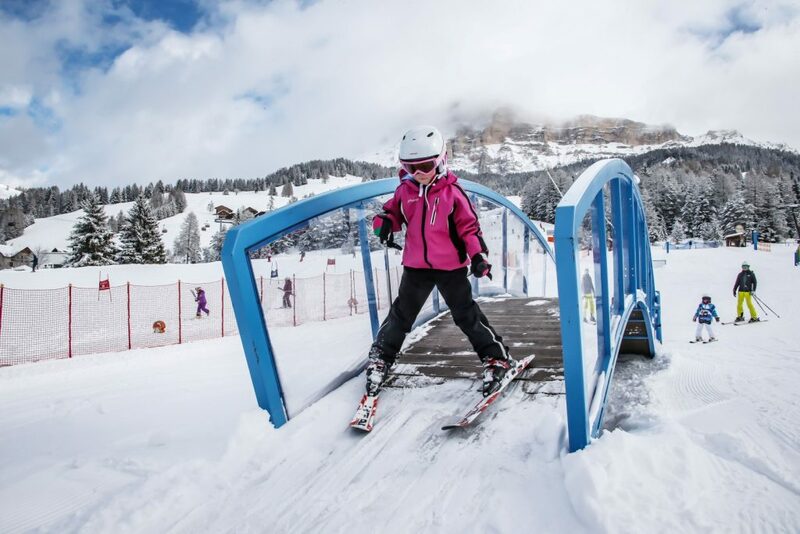 Along the ski slope the skiers, beginners or advanced, meet different obstacles like the Fun Line Rainbow Bridge, a kicker, a smiley which you can greet or the Speed Booster that makes sounds while sliding over. In addition, the slope over hills and through tunnels is accompanied musically by a chinese gong, a outsize xylophone and a „Sound High five“. In the meantime, parents can observe their kids from installed benches. 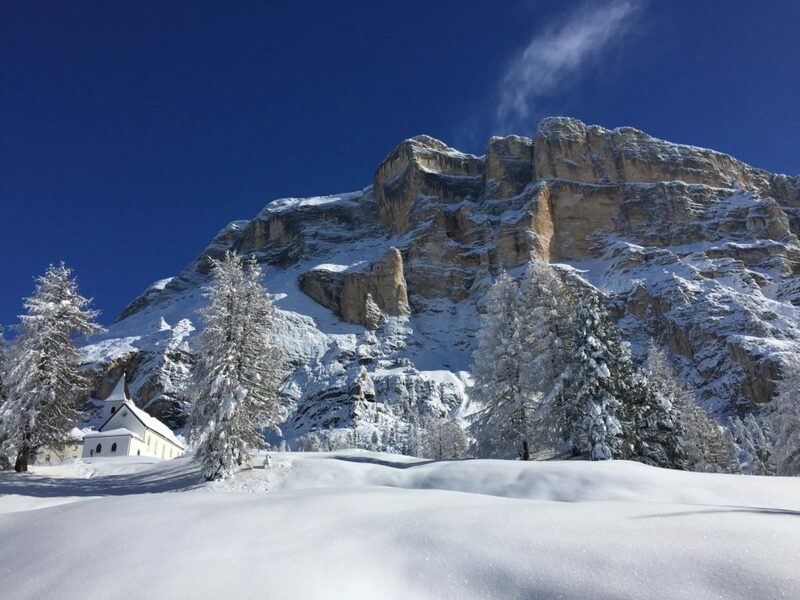 They can also enjoy the sun and, at the same time, admire the natural park Fanes-Senes-Braies, which is part of the Dolomites UNESCO World Heritage. The „Kids Fun Line“ is situated near a restaurant, a ski pass office, a ski school and a ski and snowboard rental. 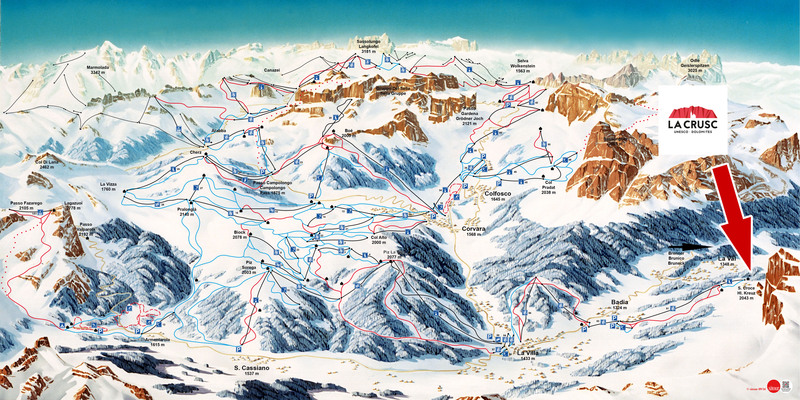 The sanctuary of Santa Croce / La Crusc (2045 mt) is the highest place of worship in Europe that can be reached on skis. The view at the foot of the majestic Sasso Santa Croce (Sas dla Crusc) suspends the breath and is surely worth a visit.